Apologies if you are looking for old Material Beliefs blog posts. The host had a nasty server crash, and the wordpress database was lost. I’m having a look around to see if I can restore what has been lost. 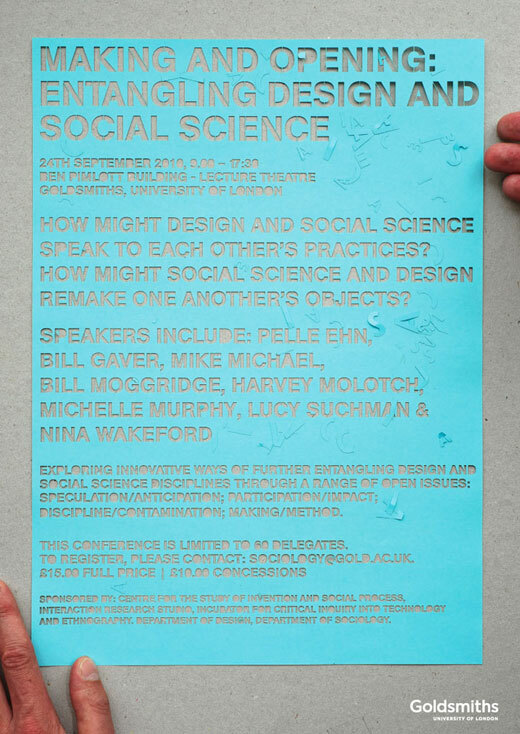 HOW MIGHT DESIGN AND SOCIAL SCIENCE SPEAK TO EACH OTHER’S PRACTICES? 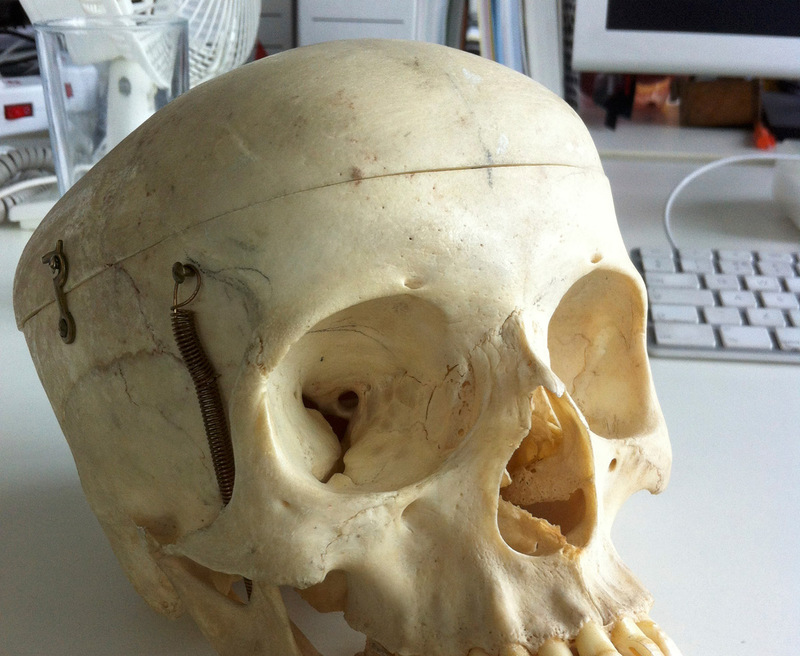 HOW MIGHT SOCIAL SCIENCE AND DESIGN REMAKE ONE ANOTHER’S OBJECTS? SPEAKERS INCLUDE: PELLE EHN, BILL GAVER, MIKE MICHAEL, BILL MOGGRIDGE, HARVEY MOLOTCH, MICHELLE MURPHY, LUCY SUCHMAN, NINA WAKEFORD. EXPLORING INNOVATIVE WAYS OF FURTHER ENTANGLING DESIGN AND SOCIAL SCIENCE DISCIPLINES THROUGH A RANGE OF OPEN ISSUES: SPECULATION/ANTICIPATION; PARTICIPATION/IMPACT; DISCIPLINE/CONTAMINATION; MAKING/METHOD. THIS CONFERENCE IS LIMITED TO 60 DELEGATES. TO REGISTER, PLEASE CONTACT: SOCIOLOGY@GOLD.AC.UK. SPONSORED BY: CENTRE FOR THE STUDY OF INVENTION AND SOCIAL PROCESS, INTERACTION RESEARCH STUDIO, INCUBATOR FOR CRITICAL INQUIRY INTO TECHNOLOGY AND ETHNOGRAPHY, DEPARTMENT OF DESIGN, DEPARTMENT OF SOCIOLOGY. The Neuroscope is featured in Designofotherthings a group exhibition at the Triennale Design Museum from 26 May – 27 June 10. The show is part of La Triennale di Milano. Technology was the means by which we separated ourselves from nature, and escaped its limitations. In the 21st century we move beyond the animosity between nature and technology. In a lot of areas we see new fruitful collaborations and new kinds of unity: in our dealings with the environment en with energy, but also in arts, architecture, fashion and games… What will this transnatural world look like? Is this a next evolutionary step, or merely a changed perception of ourselves? On Saturday 13th I’ll be presenting Material Beliefs as a part of the symposium, along with Rachel Armstrong, Jan Jongert, Elio Caccavale and Koert van Mensvoort. A focus for me will be a less separated view of technical and natural objects. 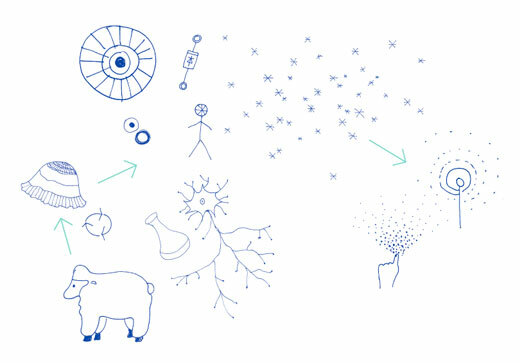 In an account of speculative design, I’ll show how bodies, technologies, research issues, labs and materials are brought together as an open-ended form of public engagement of science and technology. 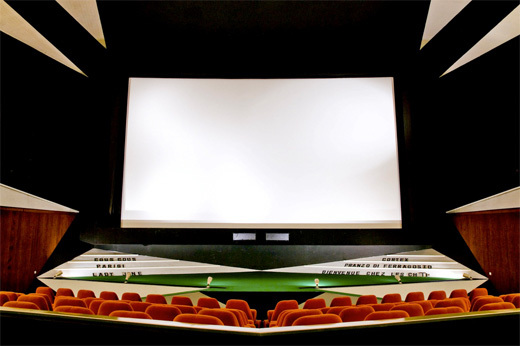 The programme is put together by Multiplex, including production by Arjen Bangma and Sanne de Rooij, and curarion by Klaas Kuitenbrouwer. This evenings design and social sciences seminar is the last in this years series, and will feature contributions from Kat Jungnickel, Jennifer Gabrys and Joe Malia. Here we bring together a range of objects that relate to the theme of the seminar series, which is of course the shared Objects of Design and Social Science. Kat is talking about an exhibition of her PhD work, that “explored the innovative practices of suburban technology (wifi and bike) makers operating on the fringes of established centres of innovation”. Jennifer’s object is dirt, a “mutable, fuzzy and messy object”, and Joe starts with a project using beads, that has been recently developed into an interdisciplinary research project. We start at 4pm and finish with some refreshments in the studio at 6pm. Documentation of the event will be available shortly here. Carnivorous Domestic Entertainment Robots have been nominated for the TRANSMEDIALE AWARD 2010 from a pool of over 1500 entrants. 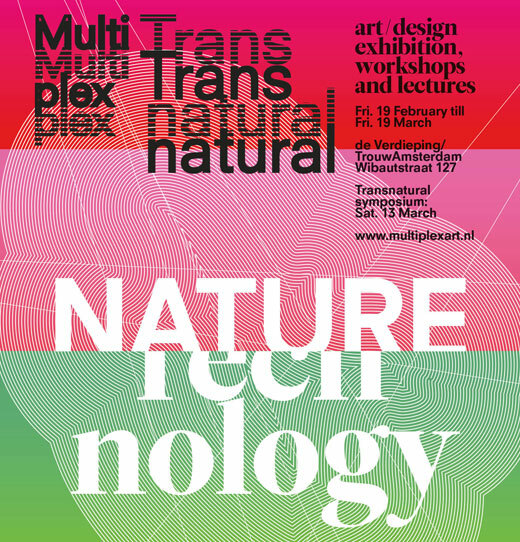 CDER are being shown at transmediale.10 along with other nominees, as part of the festival programme. 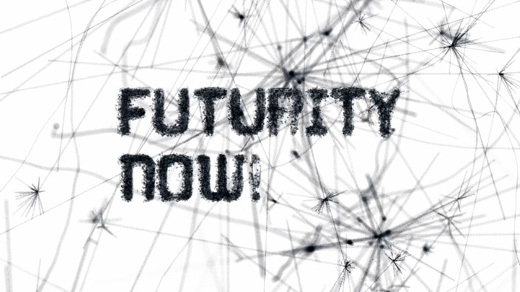 The theme for this years festival is FUTURITY NOW! and event literature leads with a quote from William Gibson; ‘The future is here. It’s just not widely distributed yet’. As in previous years, the main body of the festival programme takes place at Haus der Kulturen der Welt, with off-shoots all over Berlin. 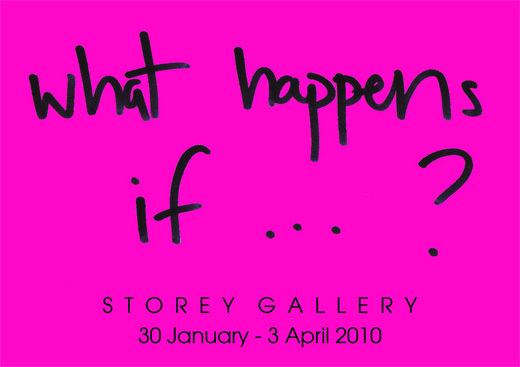 The festival runs from the 2nd to the 7th of February, and the winners of the TRANSMEDIALE AWARD 2010 will be announced on Saturday 6th in the auditorium of HKV. The framework of the conference is based on the assumption that the evolution of sciences and technologies, and their impact on society, suggests new research questions that constantly tend to expand the ways to design research – in term of topics of interests, approaches and contaminations – research questions that can be relevant for the design knowledge, practice and education. I spoke about Material Beliefs in terms of its contribution to public engagement of science and technology (a pdf of the full paper is available here) in a session with Björn Franke and Françoise Adler entitled “SENSE AND MEANING”. I also had a chance to hear from Pelle Ehnand Giovanni Anceschi. The symposium was convened and hosted by Massimo Botta and Polly Bertram from the Laboratorio Cultura Visiva at SUPSI. 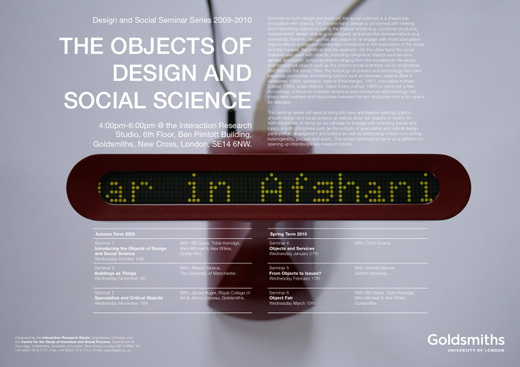 THE OBJECTS OF DESIGN AND SOCIAL SCIENCE is the title of a series of seminars for this academic years at Goldsmiths. The programme has been put together by the Interaction Research Studio and the Centre for the Study of Invention and Social Process. The topic of objects is used as a device to hopefully pull out some intersections within the practices of social scientists and designers. Have a look at the poster for more some detail about the seminars. Below is a list of presenters and dates for these seminars, which are free and open to all. They take place at 4:00pm-6:00pm, at the Interaction Research Studio, 6th Floor, Ben Pimlott Building, Goldsmiths, New Cross, London, SE14 6NW.